The Poly Scrim Product line comes in both fire resistant reinforced poly sheeting and non-Fr. The advantage to the Poly Scrim products is the ability to make customized plastic sheets, tarps with grommets, hems and zippers. Poly Scrim is a string reinforced plastic sheeting that is tear resistance and durable due to the layer of string/cord. Poly Scrim is a beautiful film. It's top notch! Custom Manufactured Films In Most Any Configuration Right Away! Bung Fittings: To seal a cover, or open it up to let the water/ liquid out. They are 2" threaded fittings that comes with a cap. Grommets: Brass coated #3 and #5 grommets can be added where needed. 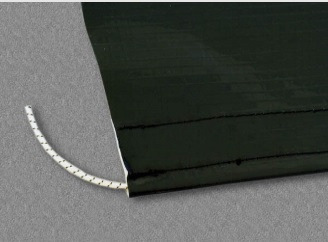 Elastic Cord: The perimeter of the cover can be cinched with elastic cord. Hooks and Loops: 2" black or white hook and loop, or custom widths such as 1" or 4". Stencils/Printing: Custom printing or stencils are no problem. Flexographic printing allows for 4-color match images to meet your project needs. Skrim Reinforced, Poly Scrim 6 is a 3‐ply, 6 mil extrusion laminate combining two layers of linear, low density polyethylene with high‐strength cord grid. It is specifically engineered to provide high strength and durability in a lightweight material. Multiple layers and cord reinforcement resists tears. 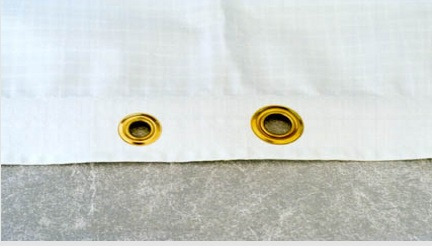 Grommets, tie‐downs, hems, zippers, drains, and 3‐D custom shapes available. Pallet, drum and other custom covers for outside storage. Architectural vapor retarder for under slab, walls, ceilings and in roofing systems. Multiple layers and cord reinforcement resists punctures and tears. 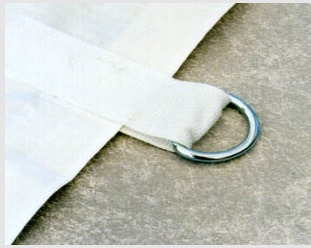 Grommets, tie-downs, hems, zippers, drains and 3-D custom shapes available. Fire retardant to meet safety requirements in critical equipment and material areas. Custom fabrication is available to meet your exact specification. Cold-crack resistance eliminates failures in extreme cold temperatures. 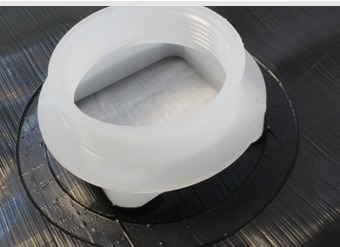 Poly Scrim 8 LLDPE is a 3-ply, 8 mil extrusion laminate combining two layers of linear, low density polyethylene (LLDPE) and a high-strength cord grid. When you need a little heavier duty tarp, consider Poly Scrim 8 LD. Class C, ASTM E-1745-97 Standard Specification for water vapor retarders used in contact with soil or granular fill under concrete slabs. Pallet, cask and drum covers for outside storage. Pallet. Cable reel and drum covers for outside storage. Poly Scrim 10 is a 10 mil co-extrusion polyolefin membrane containing the latest polymer technology, resulting in superior puncture resistance, impact and tensile strength. It is specifically engineered to provide high strength and durability in a vapor retarder. Poly Scrim 20 mil Multiply with U.V. Poly Scrim 20 mil- Reinforced multiply laminate in white. Combines U.V. stabilization with a high strength cord reinforcement.